The Gruffalo is coming to an unlikely place this February, kids will love this chance to meet their favourite book character. B&Q is known as a place for DIY supplies, tools and a new kitchen but you might be surprised to find out it's also a great place to take your children. Instead of the usual nightmare of dragging bored kids around shopping this is one outing to the shops they will love as one of their favourite book characters will be stopping by for a afternoon of activities. This family fun day has been organised by the Oldham B&Q store. 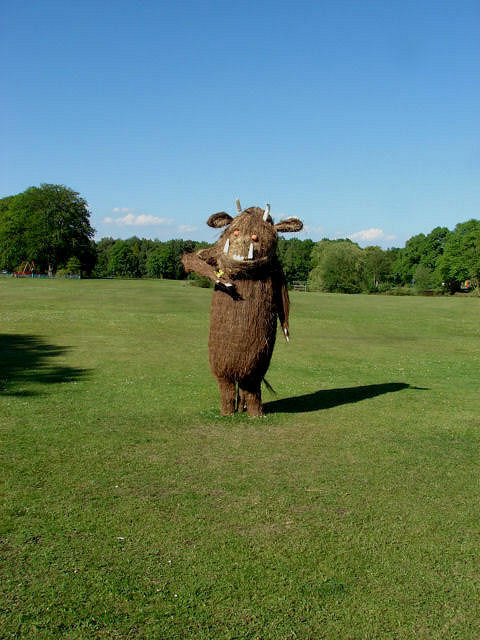 An amazing day is planned where children can meet the friendly Gruffalo in the store. The character is from the popular children's books written by Julia Donaldson and illustrated by Axel Scheffler. Loved by children all over they will be amazed to see the lovable fictional character come to life. This is your chance to do something different. There will be a meet and greet and lots of other activities all for free! Come along and enjoy face painting and a nature trail, if you have been looking for a way to keep your children entertained over the school holidays this is perfect and won't break the bank. This is a chance for children to learn all about wildlife and why it is so important to help animals survive during the winter months. Who knows? It may inspire your children to get involved in gardening and helping to preserve wildlife. There will be prizes for everyone completing the nature trail so your little ones can have fun while they learn something useful. Taking place on Saturday 10th February 2018 from 10am-4pm at B&Q in Oldham The Gruffalo will be meeting fans throughout the day. Meet and greets will take place at 10am, 11am, 12pm, 2pm and 3pm with the face painting available throughout the event and the nature trail running until 3pm. Come along for what is set to be an exciting day. This is a great way to entertain children in the school holidays and, what's more, it's completely free. Make sure you don't miss out.